For this production of Verdi’s tragic opera, Aleksandrs Antonenko, one of the world’s leading interpreters of Otello, sings his first Met performances of the role, opposite Sonya Yoncheva as Desdemona and Željko Lučić as the villainous Iago. Soprano Anna Netrebko appears in her Met role debut as Leonora, the tortured heroine who sacrifices her own life for the love of the Gypsy troubadour. 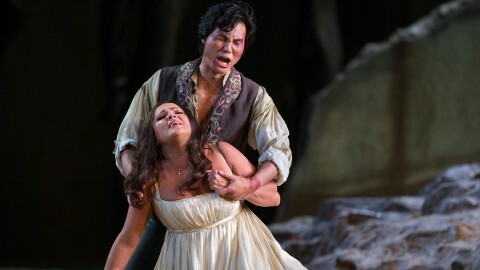 Dmitri Hvorostovsky sings Count di Luna, Yonghoon Lee is Manrico in his Met role debut as the title character, Dolora Zajick sings her signature role of the gypsy Azucena, and Štefan Kocán is Ferrando. Marco Armiliato conducts Sir David McVicar’s Goya-inspired production. Sir David McVicar directs the first new Met production of the popular verismo double bill in 45 years, with Argentinean tenor Marcelo Álvarez making his company role debut in both leading tenor parts: the seducer Turiddu and the clown Canio. Dutch soprano Eva-Maria Westbroek sings the role of Santuzza, the abandoned woman at the heart of Cavalleria Rusticana, and American soprano Patricia Racette stars as Canio’s ill-fated wife Nedda in Pagliacci. 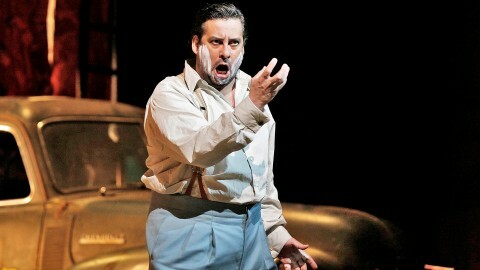 George Gagnidze also stars in both operas. Met Principal Conductor Fabio Luisi leads both operas. 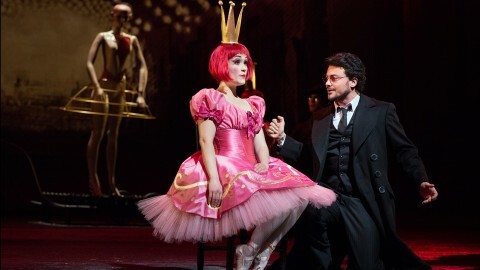 Italian tenor Vittorio Grigolo stars as the tortured poet unlucky in love in Offenbach’s Les Contes d’Hoffmann on Great Performances at the Met. Offenbach based the opera on three stories by E.T.A. Hoffmann. 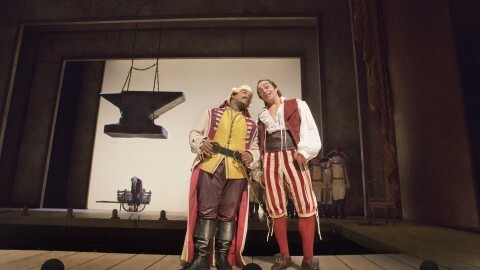 The production is by Broadway director Bartlett Sher. Soprano Deborah Voigt hosts the broadcast. 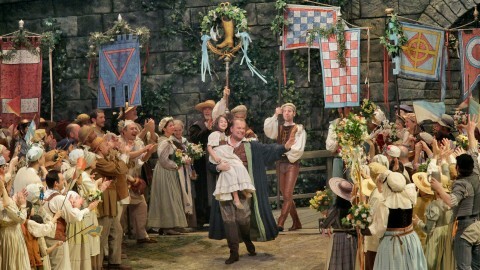 James Levine leads Wagner’s Die Meistersinger von Nürnberg (“The Master-Singer of Nuremberg”) in its first Great Performances at the Met broadcast. Michael Volle is the cobbler-poet Hans Sachs, starring with Johan Botha as Walther, Annette Dasch as Eva, Johannes Martin Kränzle as Beckmesser, Hans-Peter König as Pogner, Paul Appleby as David, and Karen Cargill as Magdalene. Renée Fleming hosts. Rossini’s classic comedy Il Barbiere di Siviglia (The Barber of Seville) features some of the most instantly recognizable melodies in all of opera. The dynamic young cast includes Lawrence Brownlee; Isabel Leonard; and Christopher Maltman in his first Met performances of Figaro, the title barber whose skills extend far beyond hair-cutting. 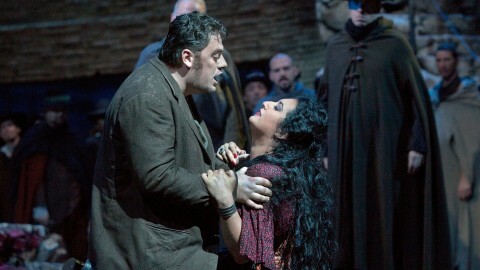 Acclaimed director Richard Eyre’s production of Bizet’s Carmen stars Georgian mezzo-soprano Anita Rachvelishvili in the title role of the seductive gypsy, a part she has sung to acclaim at many of the world’s leading opera houses. 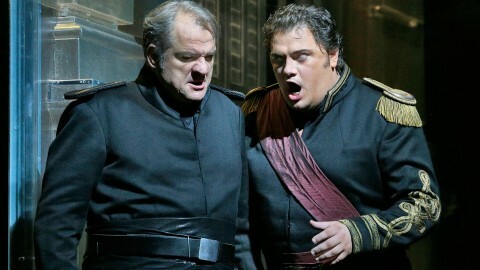 Aleksandrs Antonenko sings the obsessed soldier Don José, soprano Anita Hartig is Micaëla, and Ildar Abdrazakov is the toreador Escamillo, led by Spanish conductor Pablo Heras-Casado. Christopher Wheeldon created the choreography. The starry cast includes Serbian baritone Željko Lučić in the title role; Russian star soprano Anna Netrebko in her North American debut as the fatally ambitious Lady Macbeth; German bass René Pape as Banquo, one of the victims of Macbeth’s bloody rise to the throne; and Maltese tenor Joseph Calleja as Macbeth’s heroic rival Macduff. The season nine premiere of Great Performances at the Met is Mozart’s elegant masterpiece of marital discord, Le Nozze di Figaro, conducted by Met Music Director James Levine and staged by Richard Eyre. Ildar Abdrazakov sings the title role, Marlis Petersen plays Figaro’s quick-witted bride-to-be, Susanna, and Peter Mattei is Count Almaviva.